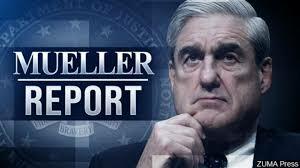 Special counsel Robert Mueller has submitted his Russia investigation report to Attorney General William Barr. This investigation was launched on May 17, 2017 when Deputy Attorney General Rod Rosenstein appointed former FBI director Robert Mueller as special counsel. The objective was to determine whether the Trump campaign had colluded with Russia. Barr will brief Congress on the findings of the report possibly as early as this weekend. Although the Justice Department has indicated it will release the “principal conclusions” of the report, exactly how much of the report will be released to the public has not yet been decided. What we already know is that Mueller found significant interaction between Russian operatives and Trump associates, several of whom have already been accused of lying to cover-up and conceal their activity. The investigation has already resulted in criminal charges levied against six Trump associates and 28 others. It has given rise to cases that have been filed in courtrooms across America. Trump, who has repeatedly called this thing a “witch hunt,” has publicly urged Barr to release the report in it’s entirety. He knows, anything less than full transparency will continue the cloud over his Presidency.